Since the invention of the famous spy camera, MINOX is the synonym for the perfect miniaturizing of cutting-edge technology. Today the name equally represents exceptional innovative energy in the field of long-distance optics. 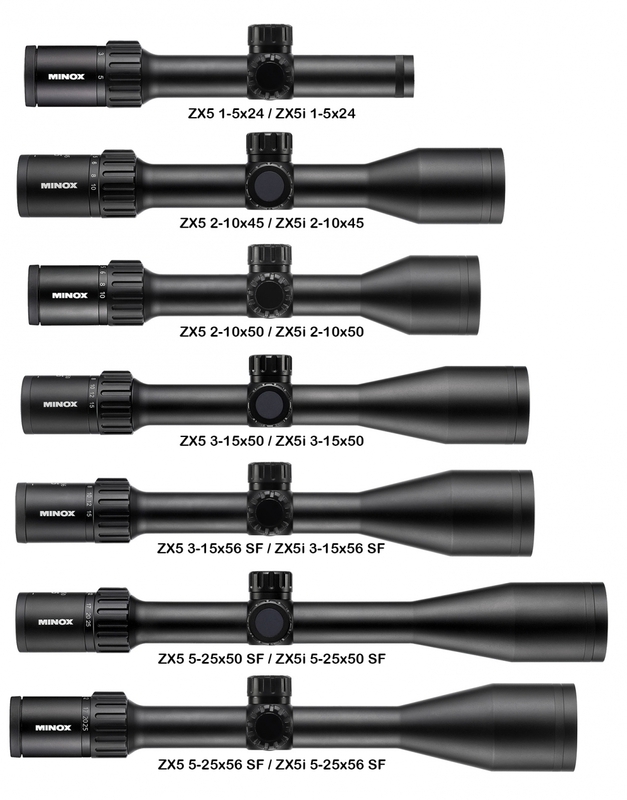 The essence of this expertise flows directly into the development of MINOX riflescopes, offering high-tech for the eye with first class quality for the highest of demands and comprehensive features. Uncompromising in design and production, the maximum possible excellence und precision is emphasized. Utmost quality, precision, solidity and longevity – these are the achievements of German engineering and constitute the system of values for the MINOX brand. The exceptional performance of MINOX riflescopes is reflected in the use of high-tech special glass, a precision-designed optical system and premium lens coatings. This combination offers the perfect prerequisite for excellent image quality and high contrast. All MINOX riflescope lines are manufactured with the utmost care and reliability to meet the highest of standards. We are able to offer the full range of Minox scopes and binoculars at very competitive prices , please ask for a quote.